The focus when developing the Volution Thor was to maximize the characteristics and adaptability of a Parajet paramotor. The Volution Thor’s lightweight, super-strong cage and highly responsive weight-shift flying characteristics have been refined to create an aircraft that is perfect for competition. 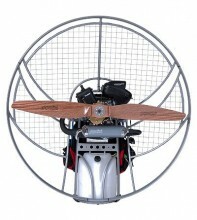 The Volution model line up is a great paramotor for beginners to competition level pilots. The cage system breaks down nicely but is very strong, keeping pilots away from the prop. Bringing together the performance and reliablity from the Polini Thor 100 engine has made the Volution a very popular model. The Volution Thor produces 60kg of static thrust, giving the engine great performance versus weight characteristics. The engine features an aluminium cylinder with Gilnisil coating, Walbro carburettor with moulded intake silencer, lightweight reduction drive and a simple manual pull start re-coil system and centrifugal (oil bath) clutch assembly. Lightweight fabric with air-mesh technology. Moisture wicking performance & protection from wind chill. Foam-padded back with cooling air channel. Adjustable, padded air-mesh shoulder straps. Ergonomic weight distribution and load stability. Improved pilot posture, less fatigue, better breathing, and less strain during launch. Highest level of durability and safety. Slimline quick-release buckles ensure fast, easy and safe connections. Soft, lightweight polyester webbing is strong without feeling stiff or coarse. Adjustable low hangpoints for precise and responsive handling through weight-shift. Manufactured from aluminium billet for high strength and rigidity. Unique pivot arm lock-in system – utilises the cage as a secondary lock for improved safety. Lightweight, high tension chassis helps improve power-to-weight ratio for enhanced ground handling and in-flight manoeuvrability. High-tension, wide profile aluminium uprights for unmatched rigidity and impact resistance. Hydro-formed aerofoil tubing offers strength, superior airflow and a unique style. Unique cage connection system enables dismantling in seconds. Designed and hand-built in the UK. 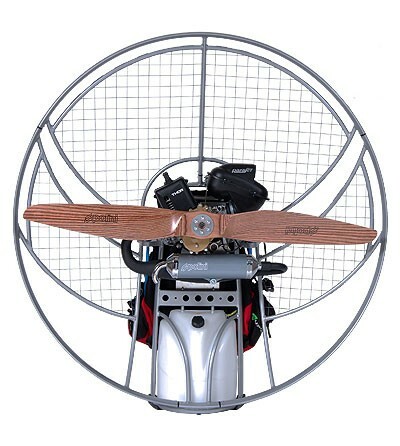 Click the button below to add the Parajet Volution Thor 100 Paramotor to your wish list.